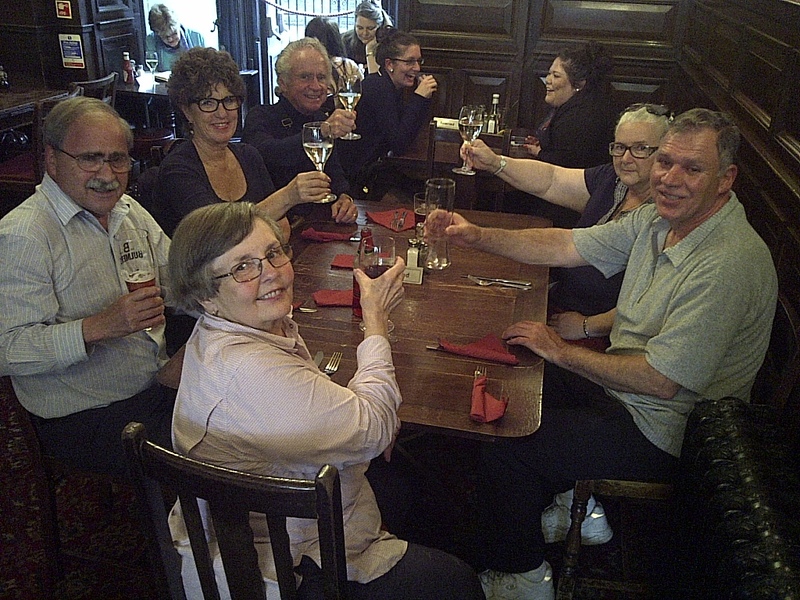 At the little pub on the corner, our fond farwell to the tours and a toast to a great flight home. London, England. June 18, 2013. On the ENGLAND, SCOTLAND & WALES tour.